There are a few big-name stocks which have held up well during the recent stock market rout. One of those names is Disney (NYSE:DIS). Disney stock is just 6% off its recent highs, while the S&P 500 and Dow Jones are both in correction territory. 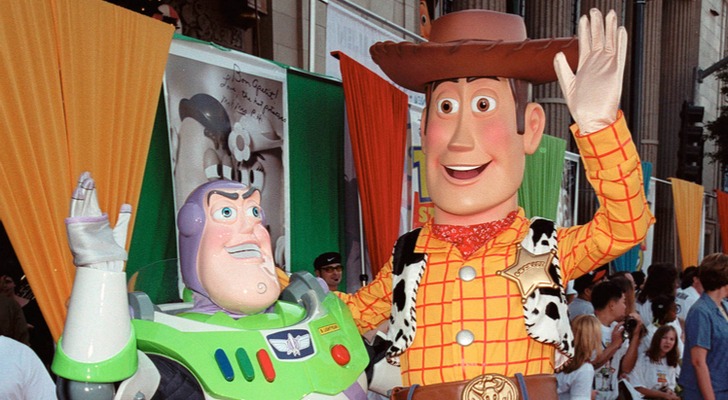 The impressive resilience of Disney stock can be attributed to two things. First, DIS stock is supported by attractive, stable, and enduring fundamentals, giving it a healthy long-term outlook despite near-term economic risks. Second, DIS is relatively insulated from the broader risks that are dragging down the market. The stock market promises to be bumpy in the near-term. But Disney stock probably won’t be volatile because of its two aforementioned features. On that basis alone, Disney stock looks well-positioned to have a good 2019. But Disney stock could have much more than just a good 2019. Disney stock could have a breakout year in 2019 because DIS has huge streaming and content catalysts in 2019, which will likely take this resilient stock and make it a big-time winner next year. The most attractive long-term attributes of Disney stock are its stable and enduring growth fundamentals. At its core, DIS is a global media company that leverages its unparalleled content portfolio to create multiple, high-value businesses with stable, recurring demand. The first and most obvious application of the content portfolio is the company’s movie business. DIS is the unrivaled juggernaut in Hollywood. Between Disney, Pixar, Marvel, and Lucas Arts, Disney generates the lion’s share of box office revenues every year. That share will only grow in 2019 and afterwards due to Disney’s recent acquisition of entertainment and media assets from Twenty-First Century Fox (NASDAQ:FOX). The second application of the content portfolio is the company’s parks business. That business takes the characters and story lines from Disney’s beloved content and makes physical rides and attractions out of them. Disney’s parks have been enormously successful. Throughout the past several years, they have been a consistent winner for Disney. That will remain true as long as Disney’s content remains strong and global consumers remain healthy. The third application of the content portfolio is the toys business, which takes all of Disney’s beloved content assets and turns them into toys. Much like parks, this business will do well as long as Disney’s content remains strong and consumers remain prosperous. Overall, Disney stock is supported by very stable growth fundamentals that hinge on just two things: the content must continue to be good, and consumers must continue to be well-off. Fortunately, both of those things will remain true in 2019. The recent resilience of Disney stock can only be partly attributed to the company’s strong fundamentals. Plenty of other stocks with strong fundamentals are in correction territory. Why isn’t Disney stock? Because Disney is largely insulted from the two major risks that are dragging down the markets. The first major risk facing the stock market right now is the trade war. Specifically, everyone is worried about higher tariffs pushing costs up around the world. But DIS doesn’t have much exposure to that risk because its movies, parks, and TV shows won’t be affected by a trade war. Maybe its toy business. could be hurt by a trade war, but that is this company’s smallest business, and it’s largely insignificant in the big picture. The second major risk facing the stock market right now is higher interest rates. Specifically, everyone is worried that the Fed will hike interest rates too quickly, dragging down corporate earnings. That will happen, but DIS stock won’t be affected by that trend very much because consumers should remain strong for some time, propped up by strong labor markets, and consumer prosperity is the main determinant of Disney’s profitability. Overall, DIS has been resilient because it has minimal exposure to the risks that are dragging equities lower and its exposure to those risks will remain minimal for some time. Consequently, the resilience of Disney stock should continue for an extended period. There are two catalysts that could enable DIS stock to break out next year. The first is that Disney is gearing up to have perhaps its best box office showing ever. In 2019, Disney will launch the final movie of the Avengers series, a new Star Wars movie, Captain Marvel, a remake of Dumbo, a new Aladdin movie, the fourth installment of the Toy Story series, a Lion King remake, and a second Frozen movie. That is an impressive lineup. In any other year, Avengers 4 or Toy Story 4 or Frozen 2 would be the year’s unquestioned headline feature. Next year, all those movies will be launched. As a result, Disney will enjoy unprecedented box office dominance in 2019. As I pointed out earlier, all of Disney’s businesses are driven by its content. Thus, if Disney has a huge box office showing next year, the strength of the company’s overall brand will increase. Consequently, families will visit Disney’s theme parks more frequently, kids will buy more of Disney’s toys, and consumers will watch its shows more frequently. All of those positive trends will propel Disney’s revenues and earnings meaningfully higher in 2019. The second catalyst is arguably Disney’s biggest launch in recent memory. In late 2019, Disney is slated to unveil its own streaming service. The service is supposed to turn Disney from a business plagued by cord cutting into a business whose growth is accelerated by a streaming asset. If that does occur, Disney’s biggest headwind will be eliminated and transformed into a tailwind. A change of that magnitude should push DIS way higher. DIS has been impressively resilient in late 2018, and that resilience should persist. Moreover, the resilience of DIS stock could turn into a breakout in 2019, thanks to the company’s huge streaming and content catalysts. Article printed from InvestorPlace Media, https://investorplace.com/2018/12/3-reasons-disney-stock-could-rally-in-2019/.